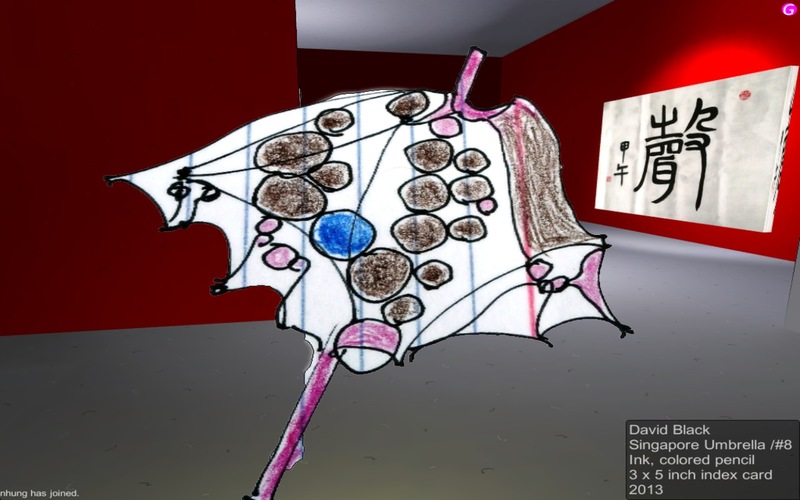 Two artworks created by hand on display withing a virtual environment. 1. Utilize the cut pieces of cardboard collected from Michael Lee's Office Orchitect text and sculptural installation. Office Orchitect debuted at the 2011 Singapore Biennale and has since toured major art exhibitions in Asia. The cut pieces of cardboard have been carefully stored since the Singapore Biennale. 2. On each piece of cardboard, write SPOKEN and gallery.sg (The intention being to contrast the high tech info-laden digital environment of SPOKEN with an anonymous, handmade, UNIQUE invitation). 3. Submit the cards to the management of an arts facility on Aliwal Street. 5. Return the next day to bring more cards. Be informed that the cards have been rejected; they cannot be displayed in the official racks used for promotional materials. The staff is not in the office and the information is relayed by a security guard. 6. Accept this situation with a smile. Do not mention that a large percentage of the slickly printed, full color materials on display in the official display racks are full of confusing English and "interesting"design sensibilities, to put it mildly. Do not touch upon the idea of censorship. Or taste. Or open-mindedness. Or diversity. Take consolation from Matisse being called an animal. Chuckle at the fact that Agnes B. is sponsoring a "Punk" show at the Substation, a show only possible because of handmade, low tech, promotional pieces/artworks. DO NOT MENTION VOICE OF PIECES TO ANYONE. 7. Impose upon the kind people at Word Forward, on the second floor of the Aliwal Arts Center to distribute the cards. 8. Offer a free signed printed copy of I Ate Tiong Bahru to the first person who gets one of the grey handwritten cards and then posts a photo of it online. Give a free ebook version of I Ate Tiong Bahru to anyone else who does this. Be happy. This entry was posted in Art, Singapore, SPOKEN, Stephen Black and tagged Singapore, SPOKEN. Bookmark the permalink.